The BK 3254 (F-6888) Bluetooth 4.1 Audio module is an intelligent wireless audio data transmission product developed independently by our company. It is a low-cost and cost-effective stereo wireless transmission solution. The module adopts the BEKEN BK3254 chip QFN48 package design. The module is mainly used for short distance music transmission, can be easily and notebook computers, mobile phones, PDA and other digital products, Bluetooth devices connected to achieve the wireless music transmission. 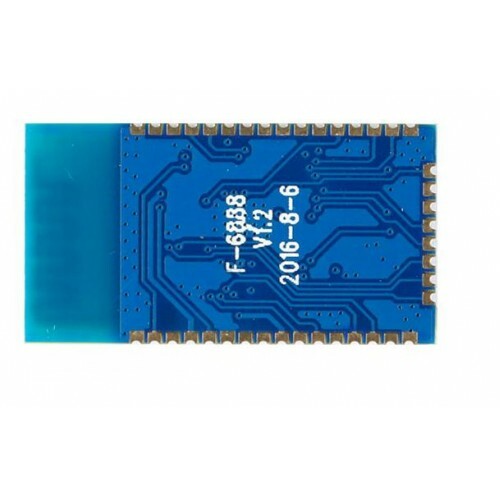 This Module does not just support bluetooth it also has inbuilt FM receiver and options to connect SD Card for directly playing through the Memory card.